Dry skin is easily the biggest skin woe you will deal with in winter! The dry winter air can take a serious toll on your skin, leaving it dull and lifeless. It can also lead to severe skin issues such as, acne, breakouts, dark spots, dryness, chapped lips, redness, itchiness or flaky skin. That said, ladies fret not! 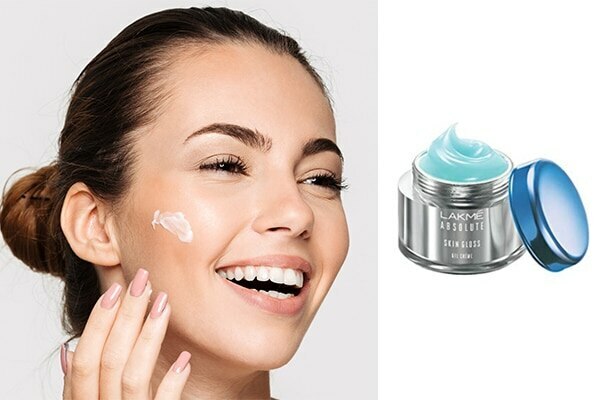 Keeping your skin well moisturised all day is the key to achieving a fresh look throughout the dry season. Moisturising not only keeps your skin hydrated, but also, protects it from flakiness and dullness. To keep your skin looking like a million bucks, get your hands on the Lakmé Absolute Skin Gloss Gel Creme as it is sure to do away your dry skin problems this winter. With winter comes dry, chapped lips. This makes it even more difficult to wear lipstick as the matte or liquid matte lipsticks further tend to dry your lips in this season. To keep your lips from chapping and to continue flaunting your favourite lip hues, it's best to take help of a lip balm or a lip care product. 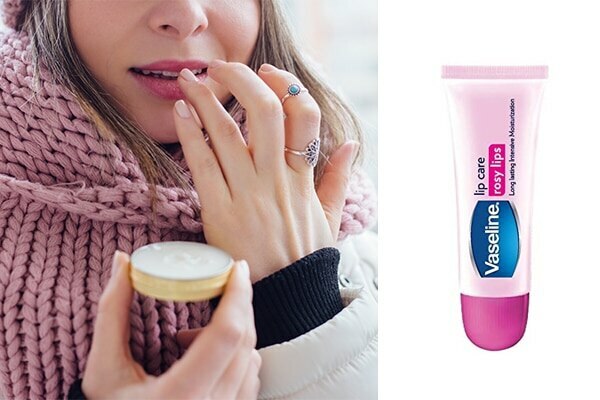 Use the Vaseline Lip Care - Rosy Lips for soft, healthy lips. Ditch your gel cleansers for a cream cleanser this winter season. Since your skin is lacking moisture already, it’s best to not strip it off natural oils by using strongers cleansers. The benefit of using cream-based cleanser is that it is gentler on dry skin. Try the Lakmé Deep Cleanser Cleansing Milk to ace the best winter skin possible. Did you know? Dry skin in winter tends to make your fine lines as well as wrinkles more prominent. To avoid this, it’s important to make use of a hydrating under eye cream so that the delicate skin under your eyes does not chap easily. 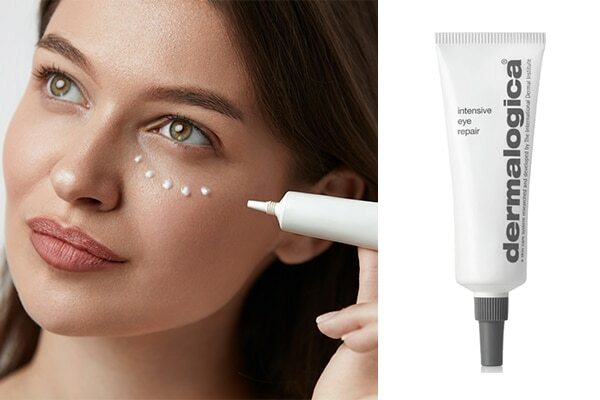 We suggest you try the Dermalogica Intensive Eye Repair for quick results. Incorporate the usage of serum in your skin care routine, especially in the dry winter months. Serums target skin concerns, making it extremely moisturising, glowing and healthy. Apply a serum before your moisturiser in order to allow the ingredients to completely absorb into your skin for better results. 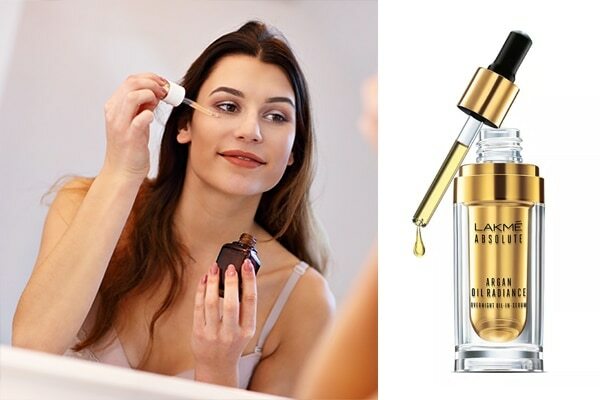 We love the Lakmé Absolute Argan Oil Radiance Oil-in Serum.